Crutches 4 Kids was honored last week at Yankees stadium by CC Sabathia and Starter for it’s extraordinary efforts providing crutches to impoverished and disabled children around the world. Co-Founders Dr. Ken Shubin Stein, Dr. Beth Shubin Stein and Dr. Chris Ahmad accepted a check in an on field ceremony from Neil Cole, President and CEO of Iconix Brand Group, owner of the Starter brand. 2011: Crutches 4 Kids honored at Yankee Stadium. 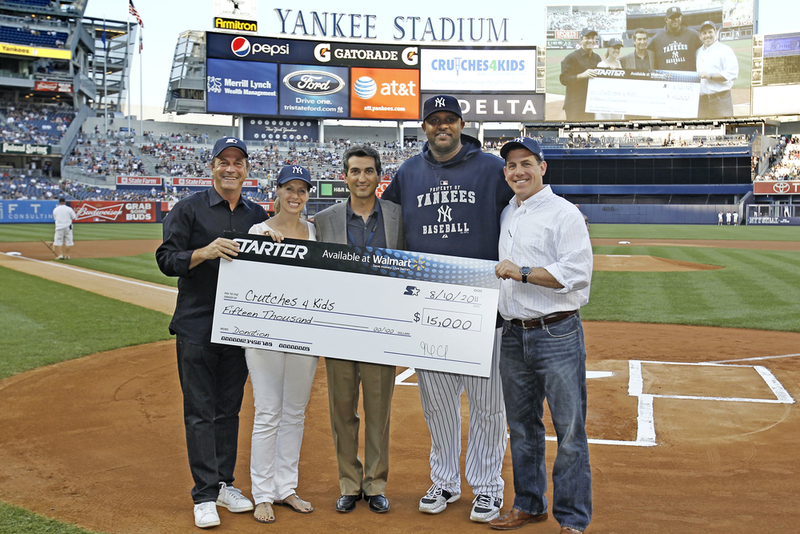 Left to right: Neil Cole, Dr. Beth Shubin Stein, Dr. Chris Ahmad, CC Sabathia, Dr. Ken Shubin Stein.